Amir has left his Pakistani heritage behind in an attempt to make partner at his corporate law firm, but his wife Emily doesn’t share his negative feelings about Islam - she’s encouraged Amir to help with the case of a controversial imam. When they throw a dinner party for Amir’s colleague Jory and her husband Isaac, the hard truths revealed lead to the unraveling of their carefully constructed lives. An L.A. Theatre Works full-cast recording, featuring members of the original Steppenwolf Theatre and Broadway productions: Tara Lynne Barr, Shannon Cochran, Deanna Dunagan (Tony Award®, Best Leading Actress), Kimberly Guerrero, Francis Guinan, Scott Jaeck, Ron Livingston, Robert Maffia, Mariann Mayberry, Rondi Reed (Tony Award®, Best Featured Actress), and David Warshofsky. Directed by Bart DeLorenzo. Recorded by L.A. Thetare Works before a live audience. A boy from the Bronx becomes the toast of Broadway. 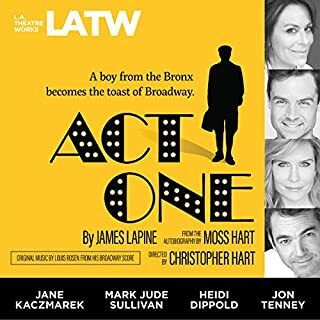 Moss Hart's classic stage autobiography is brought to life, with his son Christopher directing, in a story that illuminates the early years of one of theater's great humorists. An L.A. Theatre Works full-cast production. 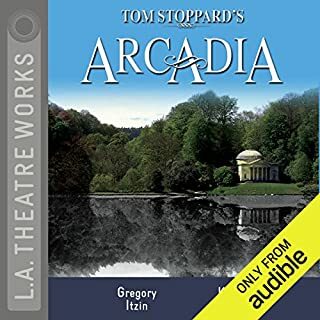 Tom Stoppard’s Arcadia merges science with human concerns and ideals, examining the universe’s influence in our everyday lives and ultimate fates through relationship between past and present, order and disorder and the certainty of knowledge. Set in an English country house in the year 1809-1812 and 1989, the play examines the lives of two modern scholars and the house's current residents with the lives of those who lived there 180 years earlier. An L.A. Theatre Works full-cast production. In this riveting political drama, Sara, along with her German husband Kurt, returns to the opulent Washington, DC, mansion of her mother, Fanny, after years away in Europe. With Hitler and Mussolini assuming full power, Kurt finds himself blackmailed for his anti-Fascist activities as the conflict in Europe crosses the hearth of this tranquil home. It's Christmas 1980, and inside a sprawling Upper West Side apartment, Faye Bascov is about to throw an opulent Christmas dinner - a tradition for this secular, well-educated Jewish family. But any family gathering is an invitation for old resentments to boil over, as Faye's sister-in-law Julie and the extended family have plenty to hash out. Flash-forward to 2000, and the apartment, now much shabbier, reflects how the family's fortunes have changed, and the Bascovs now have to reckon with the legacy of their family discord. You say you want a revolution? The story of this country's struggle for independence is told with a fresh slant and theatrical inventiveness. As Thomas Jefferson struggles to find the right words to frame a nation, a young Quaker must weigh his desire to participate in the struggle against his pacifist beliefs. Desperate times call for desperate measures, and for aging Hollywood stars Karen and Steve that means agreeing to a shocking contractual clause. On the eve of a "climactic" day of shooting, they finally tell their significant others what's to come. e tertaining but not exactly life changing. David Mamet's gift for storytelling and forging poetry from both the plain-spoken and profane turns an ill-conceived scheme to steal a rare coin into a triumph of dramatic art. In a junk shop, three men of different generations plan their heist. But their fates, like the nickel's worn image of the beleaguered buffalo, may have been sealed long ago. Winner of the 2009 Tony Award®, God of Carnage is a brash and hilarious exploration of human nature. After one 11-year-old is hit by another, their parents meet to find a mature resolution. As the evening wears on, the veneer of civility degenerates. What begins as protective parenting ends as an excuse to let loose the primordial beast buried in each of us. Two Presidential candidates - one a rising Illinois legislator, the other a bombastic US Senator. Obama and McCain? Think again. In this transcendent Broadway play, the famous Lincoln-Douglas debates tackle the day's most passionate issue - slavery. Their battle comes to life through the eyes of Adele Douglas, wife of candidate Stephen Douglas. Challenged by the charming man from Illinois, she reexamines her basic beliefs about the American concept of freedom. Playwright Kenneth Lonergan has made a career of creating characters whose considerable flaws often get in the way of their good intentions. In Lobby Hero, two menial security guards are embroiled in an unexpected family fiasco… and the local beat police are divided by their own romantic and political allegiances. 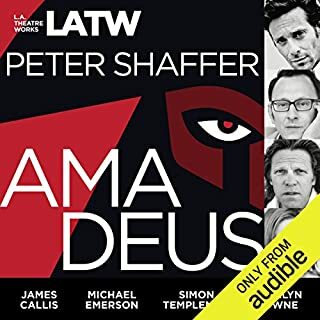 An L.A. Theatre Works full-cast performance featuring: Tate Donovan as Bill; Cedric Sanders as William; Emily Swallow as Dawn; Michael Weston as Jeff. Directed by Bart DeLorenzo. Recorded before a live audience at the Skirball Cultural Center, June 2011. At the end of the summer of 1859, 22-year-old Peachy Quinn Harrison went on trial for murder in Springfield, Illinois. Abraham Lincoln, who had been involved in more than 3,000 cases - including more than 25 murder trials - during his two-decades-long career, was hired to defend him. A new recording of Henrik Ibsen's masterpiece, starring Calista Flockhart. Nora Helmer has everything a young housewife could want: beautiful children, an adoring husband, and a bright future. But when a carelessly buried secret rises from the past, Nora's well-calibrated domestic ideal starts to crumble. Ibsen's play is as fresh today as it was when it first stormed the stages of 19th-century Europe. Eight of George Bernard Shaw's most memorable plays in one splendid collection: Mrs. Warren’s Profession, Arms and the Man, Candida, The Devil’s Disciple, Major Barbara, The Doctor’s Dilemma, Misalliance, and Pygmalion. Three prominent Americans debate the merits of unchecked immigration, national security, and civil rights. 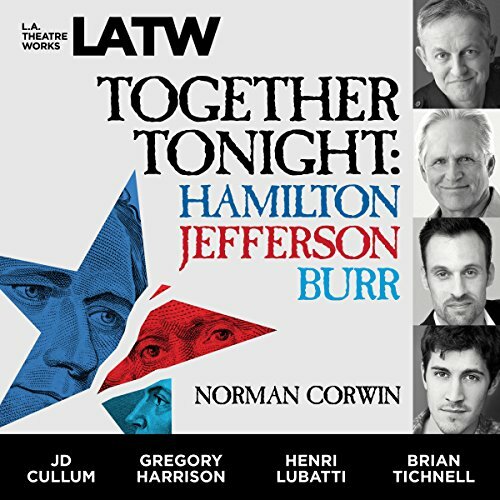 While it sounds like a contemporary, made-for-TV event, this confrontation takes place in 1799, with three of America's Founding Fathers as participants: Alexander Hamilton, Thomas Jefferson, and Aaron Burr. Legendary radio dramatist Norman Corwin created this imagined discussion from the participants' actual writings - proving that when it comes to politics, some things never change. 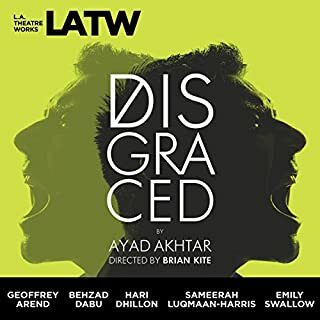 Recorded in Los Angeles before a live audience at The James Bridges Theater, UCLA in October of 2016. 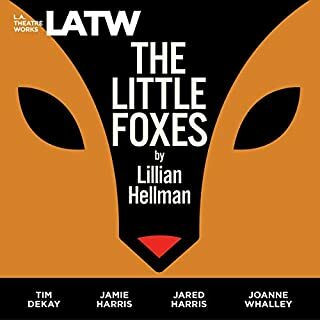 This play is wonderful, If you have not listened to Norman Corwin you should he is one of the finest writters in the history of radio. you can trust that he is factual and not making things up for a political purposes. 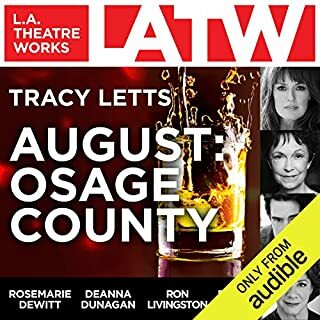 The Rivalry about the Lincoln Douglas debates is one of the best plays I have ever listened to, so give this one a try you will not be sorry.